In 2018, we arguably had some of the best games to come out of this console generation. We saw a number of titles like God of War, Red Dead Redemption 2, Marvel’s Spider-Man, Celeste, and more awe critics and gamers alike. However, it’s a new year and it’s time to look forward to the upcoming releases of 2019. What will be the games that we can’t stop talking about this year? Will we be pleasantly surprised by an indie or will a AAA title have us struggling to put down the controller? Unfortunately, we’ll have to wait to find out, but until then, here are some amazing looking games coming out in 2019. If handling powerful weapons, flying around in versatile exosuits, and decimating vicious monsters sounds like fun to you, then Anthem may be right up your alley. Bioware’s newest game is a third-person sci-fi action game that places you in a world full of chaos and mutated monsters. You play the role of a freelancer (pilots who use exosuits, called Javelins, to traverse the world) and by yourself or with the help of a team of up to three others, you’ll take on the various challenges that are ever present on this untamed planet. Anthem releases for PlayStation 4, Windows PC and Xbox One on Feb. 22. The developers behind the mesmerizing underwater adventure game Abzu, revealed The Pathless during the 2018 Game Awards. 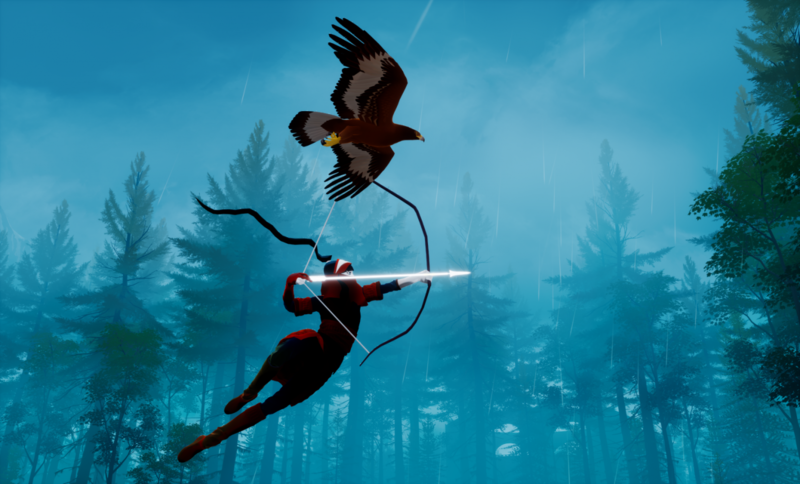 Little is currently known about Giant Squid Studios’ newest title other than what was shown during the trailer: the main character is an archer, she has a pet bird she can use to fly, and you’ll interact with some intimidating forest beasts. Judging by the trailer, it looks like this game will be every bit as visually and stylistically beautiful as Abzu was. Capcom’s beloved spectacle fighter is back with all the glorious over-the-top weapons you’d expect from the franchise and hordes of new gruesome demons to use those weapons on. Devil May Cry 5 will take the game back to its original series, being a proper sequel to DMC4 instead of a sequel to the 2013 reboot DmC: Devil May Cry. However, according to an interview with Producer Matt Walker, the development team holds DmC in high regards and plans on incorporating the best parts from both sides of the series into DMC5. DMC5 is scheduled for release on March 8 for PlayStation 4, PC, and Xbox One. 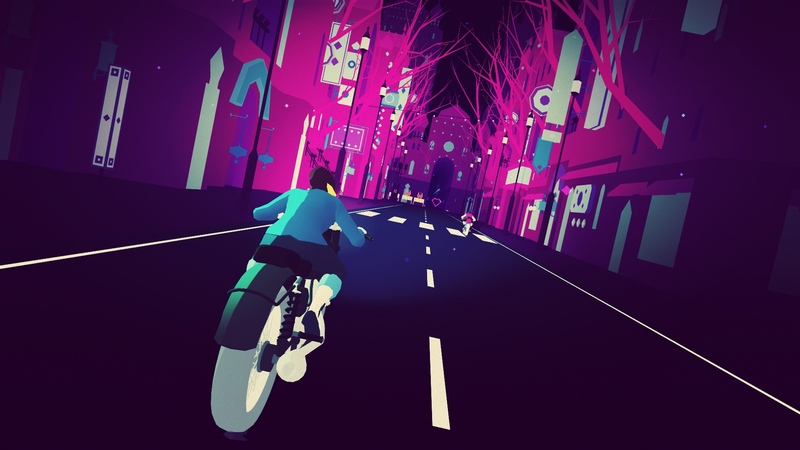 Sayonara Wild Hearts is self-described as a “euphoric music video dream about being awesome, riding motorcycles, skateboarding, dance battling, shooting lasers, wielding swords, and breaking hearts at 200mph.” This new game, made for the Nintendo Switch, will be the first console game from the small Swedish studio Simogo. FromSoftware, best known for Bloodborne and the Souls games, is expanding its lineup with a new franchise, Sekiro: Shadows Die Twice. Unlike its previous action games, Sekiro will be more of a stealth focused game that will require a strategic balance between secrecy and combat. You can expect to see this game on March 22 for PS4, Xbox One, and PC. Soundfall is a fast-paced twin-stick shooter that manages to fuse a rhythm game with a dungeon crawler. In addition to a story-based single-player mode, it will also offer a co-op mode with up to four players. This music-driven experience will be the debut title from Drastic Games, an indie studio created by two former Epic Games developers. You’ll be able to find Soundfall on PS4, Xbox One, Nintendo Switch, and PC later this year. Ed Boon, co-creator of Mortal Kombat, took us all by surprise by dropping a Mortal Kombat 11 reveal trailer before reading off the nominees for best sports game at the 2018 Game Awards. The trailer showed that MK11 will give us more of that brutal and gory combat the Mortal Kombat franchise is known for. In addition to the trailer, a press release was sent out mentioning a custom character variation system. The previous game had pre-set character variations, so this new feature seems like a natural step up from that. Mortal Kombat 11 will be out on all platforms on April 23. You may know Chucklefish as the publisher for games like Stardew Valley or Risk of Rain. 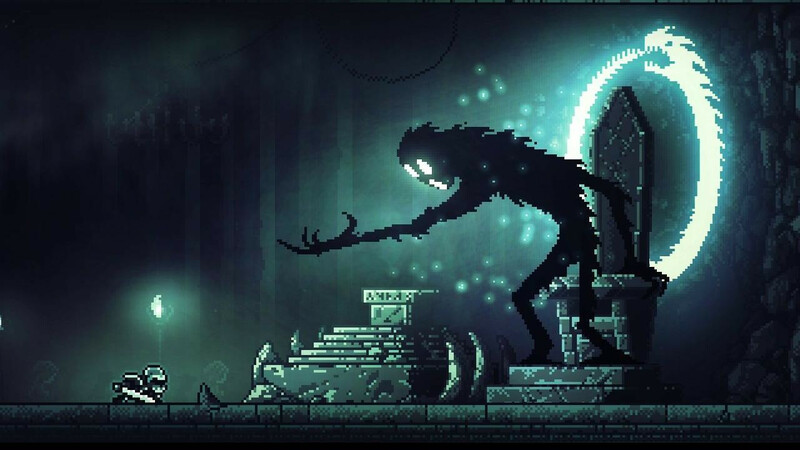 One of their most recent partnerships is with a small Lithuania-based developer, called Hidden Layer Games, that’s working a creepy pixelated PC game called Inmost. In this game, you’ll play as one of three playable characters that each have their own gameplay mechanics and dark story that interconnects with the other two stories. Rage is a game that’s hard to remember, not because it was bad, but because it was just kind of ordinary and bland. It appears that won’t be the case for Rage 2. Going off the trailers, it seems as if Rage 2 really wants to leave an impression this time around by amping up the over-the-top violence, humor, and adding some much-needed color to the mix. Expect this one to come out on May 14 for PS4, Xbox One, and PC. Studio Koba describes Narita Boy as a “retro-futuristic pixel game,” where you play as a “legendary digital hero in an epic quest through simultaneous dimensions.” If the art style isn’t enough to grab your interest, maybe a floppy disc hoverboard, a horse made out of old computers, or cutting down enemies with a rainbow-colored techno sword will be. Narita Boy was originally scheduled for release on the Xbox One, PS4, Switch, and PC for 2018, but has since been delayed to December 2019. 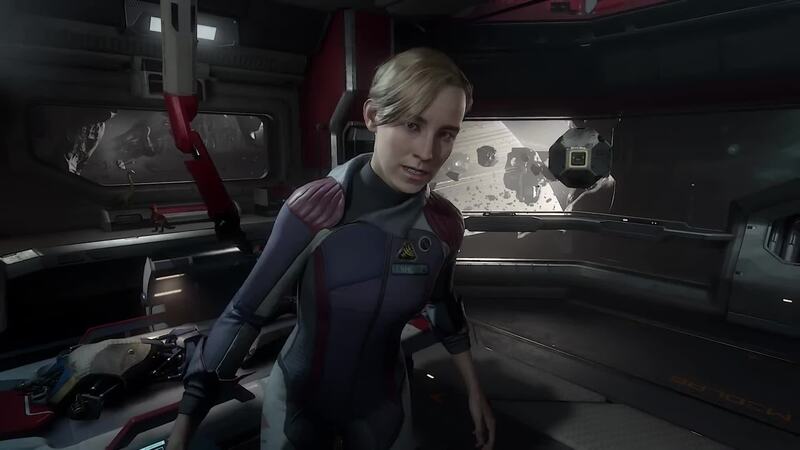 Developer Ready at Dawn received a heap of praise for it’s VR title Lone Echo. The game was considered a must-play experience for its incredible immersion and storytelling. Lone Echo II will be a direct sequel and will take place shortly after the events from the first game. Like Lone Echo, Lone Echo II will also be an Oculus exclusive. After the success of Until Dawn, everyone was excited to see what Supermassive Games would do next for the franchise. Unfortunately, there’s no information about a proper sequel to Until Dawn. The good news, however, is that Supermassive will be working on a series of other standalone cinematic branching horror games they call The Dark Pictures Anthology. Man of Medan will be the first entry in the Anthology and it looks to be exactly what fans were hoping for. Unlike Until Dawn, Man of Medan will be a multiplatform title and will be available for Xbox One and PC. Days Gone is a PS4 exclusive that’s an open world zombie apocalypse game set in the Pacific Northwest. You play the role of Deacon St. John, a bounty hunter who will need to use his guns and his brain to survive threats both zombie and human alike. 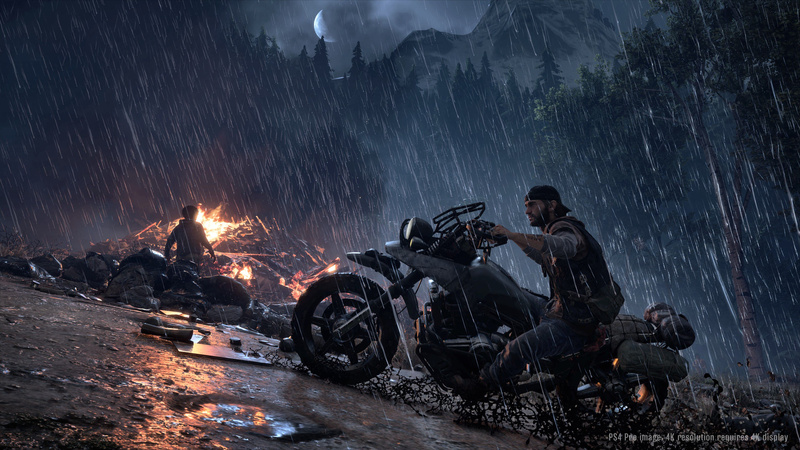 The most notable features of Days Gone are the massive hordes of “Freakers” that can come after Deacon at any given moment, the dynamic weather system, and the ever-changing hazards in the world. Days Gone has an April 26 release date. Control is Remedy Entertainment’s new mind-bending sci-fi action adventure game. In this story, you are part of an elite secretive agency based in New York called the Federal Bureau of Control. Control has been taken over by an otherworldly threat and it’s up to you and your new found powers to solve the problem. Combat involves not just shooting, but also using your powers to turn the entire surrounding environment into your weapon. Control will be available on PS4, Xbox One, and PC. Yoshi is back for another adventure and this time he’ll be making his way through a world that looks like it was made in an arts and crafts store. 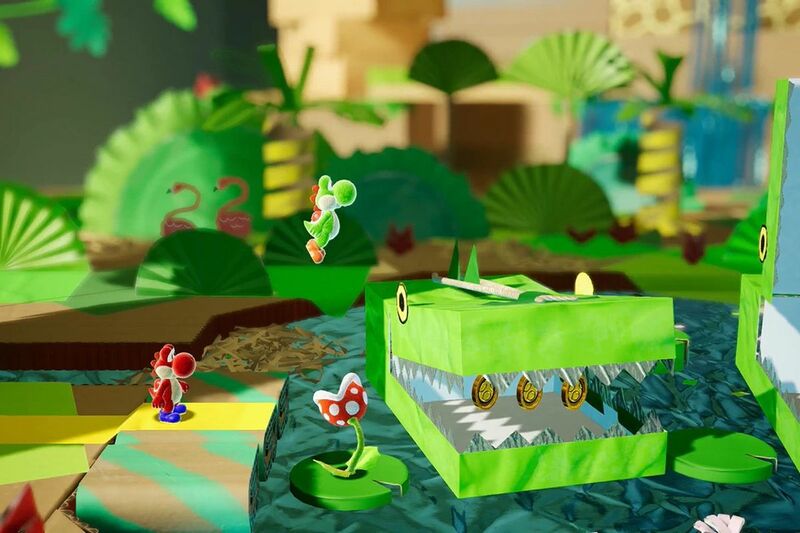 Yoshi’s Crafted World‘s cardboard cutout diorama-like world is a new art style for the series, but that not the only important change. This new game will also introduce a perspective-shifting feature that will shake up the traditional left-to-right side-scrolling gameplay. Yoshi’s Crafted World is a Nintendo Switch exclusive expected to land on March 29. Kait Diaz will be the star of this newest iteration of the Gears of War franchise. With the help of JD and Marcus Fenix, you’ll be tasked with uncovering the origins of the Locust. Revealed back at E3 2018, the trailer showed that this game will not only offer a wide variety of distinct locations, those locations will also be full of color. A pleasant change from the persistent grey tones that plagued the previous games. Gears 5 will be playable on the Xbox One and PC. It wouldn’t be E3 without some good trailers and this year we saw some that were absolutely jaw-dropping. From expected big name titles like Cyberpunk 2077 to surprising smaller titles like Sable, these were the best trailers from the show. Last year, Electronic Arts introduced us to A Way Out via their EA Originals program, a program where EA assists smaller sized independent studios with their development efforts. This year, the EA Originals program and developer Jo-Mei Games brings us Sea of Solitude. Sea of Solitude is a game that focuses on how loneliness effects each of us and has the power to turn us into monsters. During the PlayStation press conference, Sony surprised the audience with a trailer for Remedy Entertainment’s newest game Control. Control seems to build upon the time-bending game mechanics seen in the studio’s last game Quantum Beak. CD Projekt Red has been extremely tight-lipped about Cyberpunk 2077. So tight-lipped that we’ve only received tidbits of information here and there since the game was announced. In fact, we haven’t seen a new trailer for the game since 2013. That lengthy stint of radio silence for such a highly anticipated title – and the striking visuals – may explain why Cyberpunk‘s newest trailer was all anyone could talk about at E3 this year. Revealed during the Microsoft press conference, Sable is a stylish, desert-filled open world made by indie developer Shedworks. The game is about a young girl named Sable who sets out on a pilgrimage to meet new people and cultures. Legend of Zelda fans may be happy to hear that Sable was influenced by The Legend of Zelda: Breath of the Wild. Back in December, From Software gave us an extremely brief teaser that showed us a strange, bony object with a bloody spool of thread in the middle. Many people believed this was a teaser for Bloodborne 2. However, after Sunday, we all learned it was actually shot from a brand new action adventure title named Sekiro: Shadows Die Twice. The creepy and mysterious The Sinking City is a Lovecraftian horror game that takes place in the flooded city of Oakmont, Massachusetts. You play as an investigator trying to get to the bottom of what’s causing this disaster. The Sinking City comes out for PC, PlayStation 4, or Xbox One on March 21, 2019. Ghost of Tsushima may very well be the most beautiful looking game at the show this year. However, this game didn’t impress simply because it was pretty. The intriguing stealth mechanics and unique combat system also managed to catch the eye of many viewers. This will be one of those games that may convince people to get off of the fence and buy a PS4 Pro. Skate fans had high hopes that there would be a Skate 4 announcement at E3 this year. While these fans didn’t get the Skate 4 confirmation they were looking for, Sessions could be the next best thing. Sessions will be an exclusive for the Xbox One and is scheduled to launch in 2019. Early access is slated for later this year. It could be fair to say that The Last of Us Part II was the most anticipated game going into E3 and the nearly 12-minutes of gameplay presented during Sony’s press conference did not disappoint. Given what was shown, it seems that Naughty Dog has managed to improve upon the already engaging combat from the first game. Unfortunately, we still don’t have a release date. Among the indies shown during Microsoft’s press conference was an interesting-looking isometric adventure game called Tunic. Although noticeably Zelda-like in appearance, the game still manages to maintain it’s own charming mystique. You can expect to see this title sometime later this year. Honestly, this trailer was so well done that it should be turned into a full-length movie. While there wasn’t any actual gameplay to be seen, the trailer did confirm that both Jade and Payj will be back in this sequel. This reveal left some people understandably confused as we were told last year that BG&E2 is supposed to be a prequel to the events of the original game. Announced back in 2017, Transference is a psychological thriller from the minds at SpectreVision and Ubisoft Montreal. The game is centered around the Hayes family and a failed experiment where the father attempted to upload his wife, son, and his own consciousness to the cloud. This first-person narrative mystery can be played traditionally on consoles or in VR for the HTC Vive, Oculus Rift, or PSVR. Capcom revealed the newest entry to the main Devil May Cry series in the only way it knows how, with flashy and over-the-top action. According to the game’s director, Hideaki Itsuno, Devil May Cry 5 is not a reboot or spinoff, it will be a direct sequel and will take place seven years after the events of DMC 4. Gears 5 is the next installment in the Gears of War franchise and will be focused on protagonist Kait Diaz. The most notable thing about this trailer was the variety and look of different locations within the game. The trailer showed off some new jungle and arctic environments that were full of color, a departure from the ever-present grey tones of previous games. Sony ended its press conference with an impressive looking gameplay trailer of Spider-Man. What was shown during the trailer was nothing short of thrilling. Seeing Spider-Man swinging, punching, and thwiping his way through all forms of danger looks incredibly fun. The only bad thing about this trailer is that it makes it so much harder to wait for its September 7th release date. It goes without saying that 2017 was a remarkable year for games. In fact, some argue that it may even be one the greatest years of gaming, period. Although last year was jam-packed with hits, 2018 may have the potential to be even better. Here are some games you can look forward to in 2018. After a few delays, Crackdown 3 was scheduled to be the must-have exclusive Microsoft needed to help sell its Xbox One X at launch, but all of that changed when its release window was pushed back into 2018. The game is said to be extremely ambitious and “pushes the technological envelope with immersive true 4K gameplay.” Will Crackdown 3’s open-world, action adventure gameplay be enough to get people interested in the Xbox One again? Only time will tell. After a long successful career of killing Greek gods, Kratos has decided to take his god killing talents to the realm of Norse mythology. This time around, however, Kratos is no longer the rage-filled murder machine he once was. In a departure from the previous games in the franchise, this new entry will introduce us to a more mature, fatherly Kratos who possesses a greater degree of emotional depth. In addition to location and personality changes, the tone of the story is expected to be darker while combat will be more intimate but just as brutal. There have been plenty of Spider-Man games, but sadly, not near enough good ones. Hopefully, Insomniac Games will be able to buck that trend with their new Spider-Man game, which will be an exclusive for the PlayStation 4. Each trailer since its reveal at E3 2016 has looked promising, placing an emphasis on improvisation, unique environmental interactions, and other intriguing mechanics. It’s probably safe to say that many Spidey fans are eagerly waiting for this new web-slinging adventure. Blood & Truth is an exciting new action first-person shooter for the PSVR. From the same team that brought us The London Heist, Blood & Truth is a game that’s inspired by action movies like John Wick. Complete with a full story, big set pieces, and realistic movement, London Studio wants this to be the must-have VR game people have been waiting for. Dontnod Entertainment is best known for its narrative-driven Life is Strange series. However, many people forget that the studio’s first game was a sci-fi action adventure game called Remember Me. So it’s unsurprising that many people were surprised when Dontnod announced that its next game would be an action role-playing game called Vampyr. In Vampyr, you step into the shoes of Dr. Jonathan Reid, a Victorian-era surgeon and researcher, who has recently been turned into a vampire. By picking and choosing your victims, you’ll help shape the fate of London’s future. At this point, it seems like Rockstar Games has mastered the Spaghetti Western genre. Red Dead Redemption 2 welcomes us back to the Wild West as players take on the role of an outlaw by the name of Arthur Morgan. Arthur Morgan is a part of the Dutch van der Linde gang, the gang John Marston (protagonist from Red Dead Redemption) tried to escape from. Despite its title, RDR2 will be a prequel to the previous game in the series. Announced back in 2012, Cyberpunk 2077 is an open world RPG under development by CD Projekt Red. The game temporarily took a back seat to The Witcher 3: Wild Hunt, but now has the studio’s full focus as they go full steam ahead with its development. Aside from a few developer diaries and various statements, CD Projekt Red has kept mum on the project for the most part. What we do know, however, is that this title will supposedly be the studio’s most ambitious game to date. That’s pretty impressive considering CD Projekt Red’s pedigree. If you took the strategic and quick-thinking gameplay of Rainbow Six Siege, then put it in virtual reality, you’d essentially have Firewall Zero Hour. Although details about the game were scarce after its reveal at PlayStation Experience last December, this 4v4 VR tactical FPS looks like it could be a promising addition to the PSVR line up. Any game with David Cage at the helm is going to garner attention, and Detroit: Become Human has been no exception. Developed by Quantic Dream, Detroit: Become Human has stirred up early excitement with its compelling choose-your-own narrative gameplay set in the city of Detroit in the near future. Through the divergent lives of three androids, you’ll discover what it means to be human from the outside perspective of a machine. Bioware’s A-team has been hard at work on their next big hit, an online action RPG that has drawn comparisons to the likes of Destiny. Not much is known about the title yet, but there was a lot of excitement surrounding the reveal trailer last year. After the whole loot box fiasco with Star Wars Battlefront 2, hype for Anthem has cooled down a bit to a cautious optimism as many gamers have some lost trust in Electronic Arts. This game looks promising, so hopefully, it won’t be bogged down with the same microtransaction problems that plagued Battlefront 2. If you’re into psychological thrillers and own – or plan to own – a VR headset, this may be just the experience you’ve been waiting for. Made by Ubisoft and SpectreVision (founded by Elijah Wood, Daniel Noah, and Josh C. Waller), Transference lets players dive into the corrupted memories of a fractured family in order to discover a concealed truth. The game is described as a dark, thrilling mystery that contains multiple branching narrative paths which are determined by the choices you make. Nintendo has been on a roll lately with titles like The Legend of Zelda: Breath of the Wild, Super Mario Odyssey, Splatoon 2, Snipperclips, and more. They’ll look to continue that success with a new game called Project Octopath Traveler. This unique looking JRPG will feature eight different playable characters that will each have their own branching paths and distinct stories. To achieve the game’s striking art style, the developers used a mix of CG, pixel art, and what they call “HD-2D” visuals. Like many of the games on this list, we’re still waiting on a firm release date. Another year, another E3 down in the books. This year’s event was jammed packed with games as Sony, Microsoft, Nintendo, and the others hit us with trailer after trailer. Although the common consensus was that overall the conferences were somewhat underwhelming, there were still a lot of titles that managed to stand out from the crowd. Here are my favorite games from E3 2017. While Bioware Montreal took over the development of Mass Effect: Andromeda, Bioware Edmonton focused their attention on creating a brand new IP. That brand new IP is a shared-world action RPG called Anthem, which was revealed during EA’s press conference. It wasn’t until Microsoft’s conference, however, that we finally got some real details and saw some gameplay. In Anthem, you are a freelancer who has an arsenal of exosuits called Javelins. Using your Javelin, you’ll explore (either alone or with up to three friends) a large futuristic open world, brimming with wonder and peril. Based off of first impressions, many have described the game as Destiny, but with a Bioware narrative. Will Anthem be a more story driven version of Destiny? We’ll have to see when it comes out. However, what really stood out to me was the vibrant, lush environments and the way you traverse seamlessly through these areas. The way the player switches at ease from flying, to diving, to dashing around the world looked really fun. Expect to see Anthem out for PS4, PC, and Xbox One in Fall 2018. One of the biggest surprises of E3 2017 was the reveal of a brand new trailer for Beyond Good & Evil 2. If you’re like me, you have been begging Ubisoft to make this sequel ever since they showed the first trailer, which was revealed all the way back in 2008. Yeah, it has really been that long. With time comes change, and it looks like Beyond Good & Evil 2 is no exception. Instead of continuing the adventures of Jade and Pey’j, BG&E2 will be a prequel that’s set a few generations before the first game. At the moment, it’s hard to say what kind of game BG&E2 will be, but we know it will ambitious. The revival of BG&E2 is exciting, but keep in mind, this was just another pre-rendered trailer. Unfortunately, we probably won’t see this game anytime soon. With Mario’s new ability to possess everything around him, traveling to real world-like destinations, and dinosaurs, Super Mario Odyssey is shaping up to be one of the weirdest additions to the series yet. I mean, the trailers have even taught us that Mario isn’t human! Regardless, after watching the new trailer and demo Nintendo brought to E3, I have a good feeling that it may also end up being one of the most creative. According to the positive feedback from the demo, it sounds like this game could become a contender for game of the year. We’ll be able to get our hands on Super Mario Odyssey on Oct. 27, 2017. We got a taste of Detroit: Become Human last year, but this year, we have new details and a brand new trailer that sheds light on the overarching story. The game takes place about 20 years into the future. Although advancements in technology have made androids nearly indistinguishable from humans, they are still treated as mere objects. This problematic dynamic between humans and androids has caused “deviant” androids to start an uprising. In this game, you control three characters: Kara, Connor, and the newly introduced Markus. All three are androids and they will all have their own distinct storylines that will run parallel to each other over a four day period. Throughout the game, you’ll make decisions that will influence the story and may also impact the other characters. The thing that I love about this game is the importance they put on decisions. Each decision forces you to think critically and can have real consequences in the future. This is probably the reason why the demo for this game resonated with me as much as it did. Also, the amount of detail put into each character and the environments they inhabit is incredible. Nathan Drake’s days of treasure hunting may be over, but Chloe is just getting started. Uncharted: The Lost Legacy is a 10-hour long spin-off starring Chloe Frazer and Nadine Ross. The two will embark on an adventure to retrieve an ancient Indian artifact all while trying to avoid a ruthless warmonger who wants it for himself. This will be the first Uncharted game to feature someone else other than the wise-cracking Nathan Drake. Since Chloe and Nadine take themselves a little more seriously than Drake, it’s expected that the tone of this game will be slightly different from the other games. Uncharted: The Lost Legacy will come out on August 22, 2017, for $40. I stumbled across this indie game last year and was blown away by its art style. Ever since then, I’ve been trying to stay up-to-date on the development of The Last Night. So I was pleasantly surprised when I saw the announcement trailer during Microsoft’s conference. Some people have begun comparing this cyberpunk sidescroller to something like Blade Runner. The Last Night will be available on Xbox One and PC in 2018. We finally got some gameplay footage of Insomniac’s Spider-Man game and it looks amazing. Although the end of the trailer felt a bit like a QTE-fest, overall I liked what I saw. From what was shown, it looks like the player will have plenty of options on how to dispatch enemies. For example, you can either fight up close, set up traps, or use the environment to your advantage. I also like that Insomniac chose to use Mr. Negative as a villain instead of a more well-known villain. It’s become painfully obvious to me that both superhero movies and games tend to focus on a small select group of that hero’s rogue gallery. Usually, the most popular villains that everyone already knows, e.g. Doctor Octopus or Green Goblin. So it’s nice to see other villains enter the spotlight every once and awhile. Spider-Man is PlayStation exclusive and will release sometime next year. If it wasn’t for the Beyond Good & Evil 2 trailer, this game would’ve been my biggest surprise of the show. Revealed during the EA press conference, A Way Out is a split-screen, co-op action-adventure game from the creator of Brothers: A Tale of Two Sons. The game focuses on the story of two convicts and their escape from prison. What I found interesting about this game is that both characters can be in different places, doing their own thing, while their stories are told simultaneously. For example, player one could initiate a cutscene where they talk to a prison guard. While that player watches a cutscene, the other player can use that opportunity as a distraction and do things without the guard noticing. What I saw of the game reminded me of something I’d expect to see from Naughty Dog, so I have high hopes for this title. Going into E3, we knew Ubisoft was going to announce a Mario and Rabbids crossover title. However, nobody knew what kind of game the title would be. We all had our suspicions, but no one expected to be told that the new game would be a turn-based tactical RPG. Mario + Rabbids Kingdom Battle puts both companies mascots into a fun and colorful XCOM-like quest where Mario and the others must team up with Rabbids Heros in order to take back the kingdom from the mischievous Rabbids. Mario + Rabbids Kingdom Battle will be a Switch exclusive and will be available on August 29, 2017. Are you on the go and need some great games to keep you busy? Here are a few mobile games that you should put on your phone right now. The problem with interactive movie games is that most of the time they just don’t work. They’re usually either boring, poorly made, or have terrible acting. However, this is exactly what makes Her Story something of a rarity. It’s an interactive movie game that doesn’t just work; it works well. Her Story is a murder mystery where you take on the role of a police investigator (presumably). As the investigator assigned to this case, you must sort through and review interview footage of a woman named Hannah. Hannah is not only the victim’s wife, she’s also a possible suspect. It’s up to you to piece together the subtle clues in the videos and find out the truth. How do you turn a game franchise like Tomb Raider into a turn-based puzzle game? Developer Square Enix Montreal figured out a way. Lara Croft GO simplifies the action-adventure game without sacrificing the key essentials that make Tomb Raider what it is. The result is a very clever and challenging experience that genuinely feels rewarding. Similar to the first game in the GO series (Hitman GO), you move the protagonist one space at a time. Every space you move allows each enemy or booby trap on the board to move as well. This makes it necessary to come up with a strategy that will allow Lara to avoid obstacles and get safely to the goal. If you dig this game, then you might want to give Hitman GO and Deus Ex GO a try as well. Adventures of Poco Eco – Lost Sounds is one of the most visually appealing games available in any app store. Its unique art design and bold color palette have some comparing it visually to the critically acclaimed game Monument Valley. In this game, you help the curious explorer Poco Eco on his search to find his tribe’s lost sounds. To assist Poco Eco on his mission and restore the sounds of his tribe, you must complete 12 different levels that include clever 3D puzzles. The world of Lost Sounds is built around a mixture of electronic music and design, which creates a relaxing atmosphere. Want to play a game that will help you relax in the process? Prune might be just the kind of game you’re looking for. This beautiful puzzle game about growing and trimming trees will put you into a zen-like state of mind. As far as gameplay is concerned, it’s pretty straightforward. You need to help a tree grow to its full height so it can sprout flowers. As the tree grows, you’ll have to prune any branches that are hindering its growth. When the branches hit the sunlight, flowers will begin to bloom. You need a certain number of flowers to bloom in order to complete the level. Fallout Shelter is a free-to-play simulation game based on the Fallout universe. Players must create a vault, fill it with post-nuclear survivors, expand their underground bunker, and manage the ensuing chaos. It didn’t take long before Fallout fanatics found themselves hopelessly addicted to this mobile game. Downwell is an ’80s arcade-style, vertical scrolling shooter where you play as a young curious boy who one day decides that he wants to explore the depths of a mysterious well. You are armed with gunboots to protect yourself from the dangerous monsters that live within the well. As you fall and shoot monsters, you’ll also need to collect gems. These gems will allow you to purchase power-ups. It’s a pretty simple but adrenaline-pumping game. Endless runners have been a staple among mobile games ever since the App Store was launched in 2008. 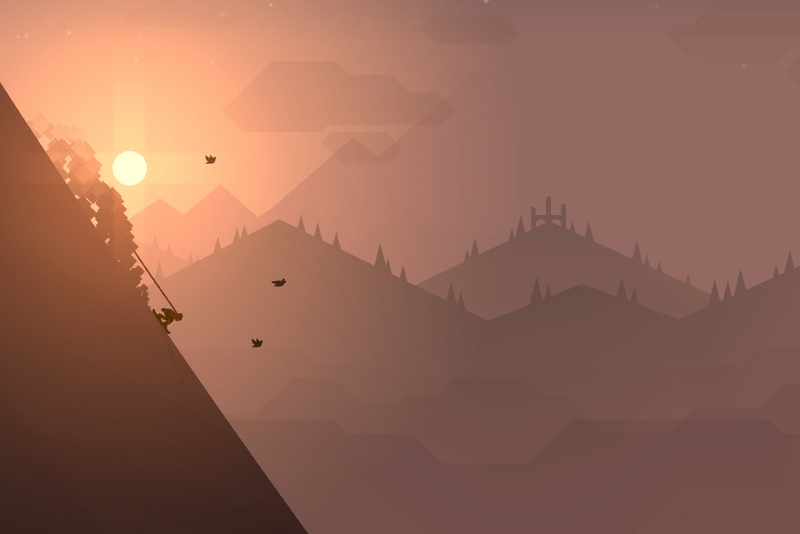 However, Alto’s Adventure stands out from the rest because of its stunning visual presentation. The ever-changing scenery combined with the day/night cycles cause the environment to evolve and transform beautifully. You’ll be feeling the need to take screenshots of the artistic backgrounds constantly. Not all games have to be about shooting stuff or brain-melting puzzles. 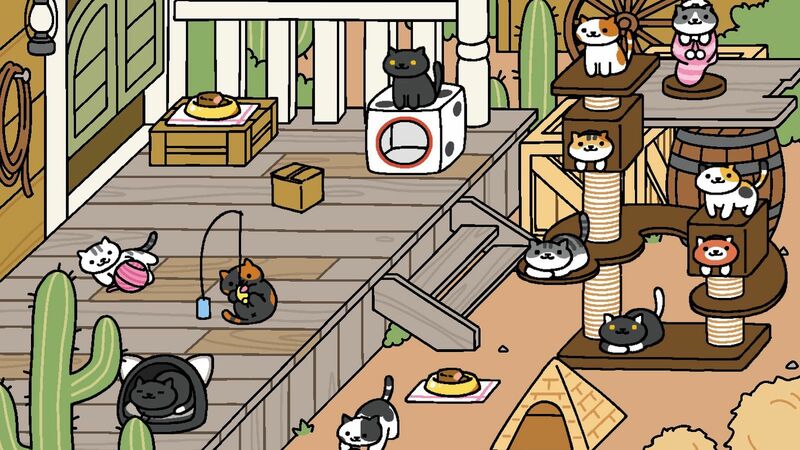 Neko Atsume is a simple game in which you try to attract as many cats as you can to your backyard. This bizarrely entertaining game essentially lets you become the crazy cat person you always wished you could be. The premise of the game is to make your backyard as inviting as possible. To do this you must collect cat toys and lay out snacks for your soon-to-be friends. The game is free, so there is no reason not to start collecting all those adorable cats. Eerie is the perfect word to describe LIMBO. LIMBO first came out for the Xbox 360 in 2010 and has since made its way to the Xbox One, PlayStation 3 and 4, PC, Android, and iOS. The story follows a boy who finds himself in a scary, dangerous world. He must traverse this perilous, noir world to find his lost sister. The haunting atmosphere is persistent throughout the game and is one of the things that make it special. If you watch Rick and Morty on Adult Swim then Rick and Morty: Pocket Mortys is a must-have. The game is basically a parody of Pokémon packed full of Rick and Morty references and jokes. Underneath all the jokes, however, is a real game that provides a good amount of entertainment. Similar to Pokémon, your goal is to become the best trainer around. You’ll need to travel through the multiverse, collecting alternate reality versions of Morty to battle against other Ricks standing in your way. It is free on iOS and Android, so give it a shot. 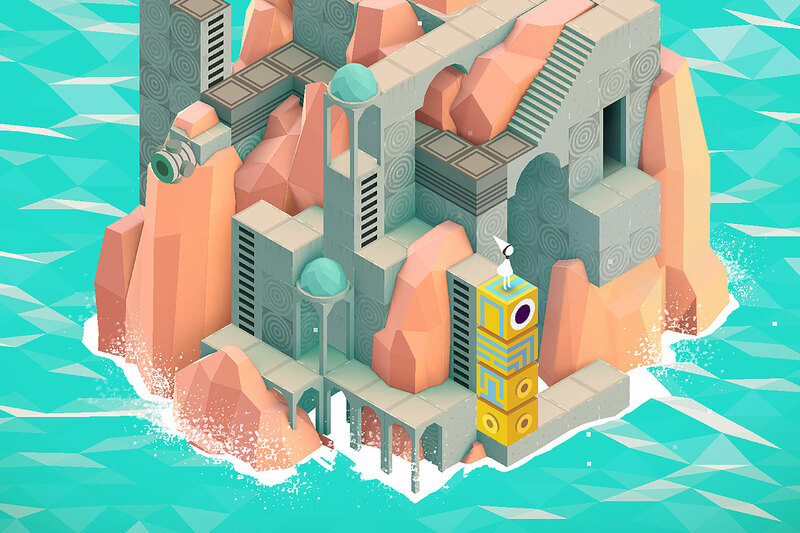 Monument Valley is one of the best mobile games out there right now. Its Escheresque puzzles and fascinating art style make it unusual and uncommon. Each level in the game centers around different 3D puzzles. You’ll need to shift and contort each puzzle like a Rubik’s Cube to get the protagonist to her desired location. Every level completed will reveal bits of the game’s story. This game’s only downfall is that it’s a little short, completing in only 10 levels. However, it’s still totally worth the cost. It’s not uncommon for games to travel through a long arduous journey before they can see the light of day. Unfortunately, some titles aren’t as lucky as others and end up either in development limbo or get canceled altogether. These are 10 games we’ll sadly never get the chance to play. Star Wars 1313 was set to be the AAA Star Wars game we’ve all been waiting for. A gritty take on the Star Wars universe, 1313 focused on a young Boba Fett living in a sub-level under the city-planet known as Coruscant. The game was in development under LucasArts, but that all changed in 2013 when The Walt Disney Company acquired LucasArts. After the acquisition, the studio was shut down and all internal projects that were in development at the time, including 1313, were scrapped. From the reveal trailer, the game looked to employ a cinematic approach to its action-adventure gameplay, comparable to that of the Uncharted series. This may or may not come as a surprise, but Heavenly Sword was originally expected to be a trilogy. After Heavenly Sword was released on the PS3, Ninja Theory quickly began work on Heavenly Sword 2. However, Ninja Theory was forced let SCE Cambridge, most currently known as Guerilla Cambridge, take over the development of the sequel. In 2008, the project was canceled altogether. Despite the setback, Ninja Theory moved on from Heavenly Sword and focused their efforts on a new IP called Enslaved: Odyssey to the West. Ninja Theory is currently working on a spiritual successor to Heavenly Sword, called Hellblade: Senua’s Sacrifice. Game developer Volition and filmmaker Guillermo del Toro joined forces with the purpose of delivering us a brand new survival horror game called inSANE. After the demise of Volition’s publisher THQ, development on the title was halted. With the rights of the game still in his hands, del Toro reached out to multiple companies with the intent to revive the project. Much to del Toro’s disappointment, no company took an interest in his vision. This lack is interest from other publishers doomed the game and ultimately sentenced it to limbo where it will forever stay as vaporware. After being in development for nearly four years, Scalebound, a game that was destined to come out for the Xbox One in 2017, was canceled. Developed by Platinum Games, this dragon focused action RPG was the studio’s first foray into the genre. From the get-go, Scalebound proved to be a challenge for the team. The game was expected to have gameplay that was unlike anything the studio had done previously. Despite reported issues with the game’s engine and the team missing deadlines, Hideki Kamiya, the founder of Platinum Games, had high hopes for the title. Kamiya even went as far as to describe the game as a dream come true for him. In late 2016, due to the troubled development, Microsoft Studios and Platinum Games came to the conclusion that it was best to “part ways” and Platinum ceased work on the title. Another highly anticipated game, Prey 2, was canceled reportedly due to “quality” issues. Human Head Studios released the announcement trailer at E3 2013. The trailer managed to pique event goer’s interest, but unfortunately, even a great trailer couldn’t save this game from cancellation. Although the game looked promising, publisher Bethesda didn’t believe that the game would live up to the high expectations. Electronic Arts formed a partnership with Steven Spielberg in 2004. In this partnership, Spielberg was contracted to develop three games for EA. One of those games was going to be a sci-fi action-adventure RPG codenamed LMNO. This game, which featured a former federal agent and a mysterious female alien-like character as the protagonists, was meant to be an emotional story that would tug at our heartstrings. It turns out that what caused the downfall of this game was the fact that the team just couldn’t seem to get their ideas to coalesce into one workable story. Take Fallout and combine it with an MMO and you’d have Fallout Online. Fallout Online was going to be the Fallout MMO experience fans had been clamoring for, that is if Bethesda Softworks wouldn’t have gotten in the way. During development, Bethesda told developer Masthead Studios that although the game is set in the Fallout Universe, the game can’t mention or make any references to Fallout. Bethesda’s decision rubbed Masthead Studios the wrong way and caused unrepairable friction between the developer and publisher. After a lengthy legal battle, the two parties reached a settlement and the game was canceled. StarCraft is most typically known for its real-time strategy gameplay, but StarCaft: Ghost looked to deviate from that path. This title was meant to be a stealth action game set within StarCraft‘s universe. The game was announced in 2002, but after several delays, the game was put on “indefinite hold” in 2006. Sadly, it seems like we’ll never know what could’ve been. No one was surprised to find out that another Rainbow 6 game was in the works, but I believe we were all stunned when news broke of Rainbow 6: Patriots cancellation. The game had been in development for several years, but as the developers moved on from last generation’s console to the current generation, problems occurred. The game was eventually replaced with Rainbow 6: Siege. When asked why, the developers explained that they wanted to deliver a “next-gen experience” and it was just easier to start over with a clean slate. Eight Days was originally meant to only be a tech demo in 2005, but about a year later, Eight Days was announced as a full-fledged game. The game managed to impress everyone with its first trailer and it quickly became a highly anticipated title. Despite the popularity, the game was canceled in 2008 after an internal review conducted by Sony revealed that the game wasn’t very fun. The lack of an online mode was one of the most common critiques of the game. Since then, the game has faded away from most people’s memories. Now that the Arkham series has concluded, Rocksteady Studios can focus on the future. At the moment, we know almost nothing about their new project. However, we can surmise that it will probably be another superhero game based in the DC Universe. Given that, I thought it would be interesting to come up with some ideas for heroes they should consider. These are heroes I’d love to see Rocksteady use for a new game. Green Arrow is the Robin Hood of the DC Universe, minus the stealing part of course. Like Batman, Green Arrow doesn’t rely on any superpowers. He simply uses his athleticism, archery skills, and tech to dispatch his foes. Making a game around a superhero like this seems like it would be right up their alley. In fact, it might be the safest gamble for Rocksteady. Since they wouldn’t have to worry about superpowers, they could easily extrapolate what they learned from their Batman games and apply it to Green Arrow. I think it would probably be the most natural progression for the developer. I have further confidence in this idea after playing Horizon Zero Dawn. Guerrilla Games found a way to make bow and arrow combat exciting, fun, and challenging and I believe Rocksteady can do the same. Could you imagine what Rocksteady could do with a superhero like The Flash? The scarlet speedster has all sorts of interesting powers (other than just running fast) including the ability to pass through solid objects, immunity to telepathy, the ability to create vortexes, lightning throwing, and more. There’s more than enough for Rocksteady to work with here. Just think about how fun it could be to fight the Reverse Flash or Gorilla Grodd at breakneck speeds. Although Vixen isn’t as big of a headliner as a Superman or Batman, she could be a very interesting choice given her unique skill set. To give a little background to her character, Vixen is a superhero who has the power to use the abilities of any animal on Earth, alive or extinct. Since her story isn’t as well known as others, Rocksteady could explore her origins. Since she would be gradually learning how to use her abilities, there would be a built-in explanation (gameplay-wise) as to why she would continue to learn new abilities throughout the game. The potential for a game with a protagonist like this would only be limited by the developer’s imagination. Although Cyborg has recently been getting a big push from DC, he’s still a somewhat undervalued hero. He has an interesting backstory that could be explored much further in detail. And in addition to having a good backstory, he also has amazing powers. His most well-known power is his sonic cannon, but he also has the ability to continuously adapt the technology that surrounds his body. This means he can enhance his abilities throughout the game. On top of that, he has the ability to immerse himself into cyberspace, which could lead to some pretty cool and maybe cyberpunk-like ideas. Let’s be honest, Wonder Women is due for a video game of her own, and who better to give us the game she deserves than Rocksteady? Given Wonder Woman’s connection to Greek mythology and her warrior mentality, I think a game with visceral combat would probably work best. As an example, I could see the game being something like a God of War. The Atom’s powers allow for him to grow or shrink himself or objects at will. This could provide a rather appealing dynamic where you would have to switch back and forth from the normal world to the subatomic world. Imagine The Atom dealing with bad guys at normal size then having to deal with a problem at a subatomic level. For those of you who don’t know who Jonah Hex is, he’s a Western-style bounty hunter who occasionally time travels in his free-time. His marksmanship and expert tracking skills make him a formidable force to be dealt with. With a character like this, Rocksteady could make a Western-type game, maybe along the same vein as something like a Red Dead Redemption. This suggestion is a little bit of a stretch since he’s a not as closely affiliated with DC as the others, however, he is a great character who deserves much more attention. Static Shock is a metahuman with electrical powers. He was originally created by Milestone Comics and later incorporated into the DC Universe. Static’s origin story is somewhat like Cole McGrath’s (Infamous) origin story; he was a normal guy until a big explosion changed him and everyone nearby. Think of Static in an Infamous type of game—it would be perfect. Although 2016 was overall a pretty terrible year, at least it was a good year for games. So how about we forget all the bad stuff and focus on the good things that came out of this year. These are my top 5 games of 2016. It’s been one heck of a wild ride following Nathan Drake and company from one adventure to another. He took us on journeys through the golden city of El Dorado, the fabled land of Shambhala, and to an Atlantis in the sands known as the Iram of the Pillars. But as they say, all good things must come to an end. And what an ending Uncharted 4: A Thief’s End was. Naughty Dog has once again outdone themselves and set an industry standard for compelling storytelling. Not only does Uncharted 4 provide a satisfying conclusion to the tale of Nathan Drake, it also answers many lingering questions we’ve all had about the main protagonist. Couple that with spectacular visuals and a little nostalgia peppered in, and you have yourself a game of the year candidate. This dark and haunting 2.5D side-scrolling puzzle platformer (that’s a mouthful) has made it onto many favorite games of the year lists and for good reason. From storytelling, to gameplay, to mechanics, Inside just does everything right. The game is short so I won’t go too far in depth about it, but I do want to highlight what Inside does best, creating moments. There are certain points in this game that are crafted so well that it will make you feel genuine moments of dread, panic, and/or anxiety. Now I know that probably sounds awful, but I mean it in the best possible way. All I’m saying is that game does a phenomenal job producing visceral reactions in its players. On top of that, the controls are tight, the puzzles are clever, and the animation of the main character is exceptional. It’s the culmination of all of these aspects that make Inside a truly standout experience. If you know me, then you know that I absolutely love a good cyberpunk game. In my opinion, no one does it better than the Deus Ex franchise. And in a year where people seem to be more divided than ever, Deus Ex: Mankind Divided couldn’t have been released at a better time. What makes Mankind Divided worthy of being one of my favorite games of the year is its deep story, plentiful secrets, engaging dialog, action, and meaningful gameplay choices. The addition of new abilities also opens up new creative avenues for ways to handle certain situations. When it all comes down to it, I had a very hard time putting the controller down while playing this game, even after I beat it. Some games are all style and no substance, others may have substance but can lack in style. When a game manages to have both qualities, that game is special. Hyper Light Drifter is one of those special games. Heavily inspired by The Legend of Zelda: A Link to the Past and Diablo, this indie action RPG provides thoroughly satisfying and challenging combat through its variety of complex and dynamic enemies. It also boasts some of the coolest artwork I’ve seen in a game all year. One of the main reasons why the original Dishonored was a great game is because of the freedom it gave its players. Thanks to the creative level design plus Corvo’s plethora of supernatural lethal and non-lethal abilities, players could choose the way they wanted to accomplish their objectives. Dishonored 2 takes what worked in the first game and improves upon it in every aspect. For instance, in the first game, you couldn’t really use your lethal abilities if you wanted to finish a mission with low chaos, obviously because killing is a no-no. In Dishonored 2, the devs found a way to work around that by incorporating mechanical enemies. One of the highlights of this game, however, was the clockwork mansion. The whole level is basically a puzzle. Rooms can shift and shuffle around offering different ways to bypass enemies, lead you to secrets, or even open up new pathways to your destination. This level is so intricate and impressive that I’m willing to go out on a limb and say that it may be the most ingenious level design I’ve ever seen in any game.